Upgrade your outfit and parkour skills, buy weapons, to become the best stickman in the world. Stickman Backflip Killer 4 - is a sequel of stickman parkour game series where you have to pass levels and destroy stickmans using your parkour skills. There are 2 main gamemodes presented - Parkour Mode and Killer Mode. In parkour you have to reach the finish flag to complete the level. In killer your goal is to destroy all stickmans using stunts and weapons. 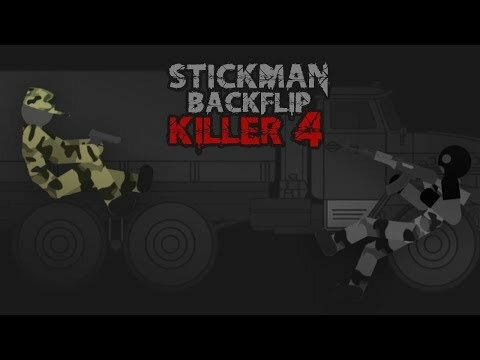 Stickman Backflip Killer 4 is a free game!